A Mormon temple in Oakwood, Calif.
Mormons do not specifically ban felons from joining The Church of Jesus Christ of Latter-day Saints. According to LDS scripture, “All those who humble themselves before God... [and] have truly repented of all their sins” can be baptized into the Mormon Church, a prerequisite, they believe, for getting into the heaven after death. However, baptism into Mormonism can be an arduous process for adult converts. The process includes a series of religious lessons from church teachers or missionaries (usually over the course of a month), and demonstrating a strong understanding of Mormon doctrines. Adults may not be living with a member of the opposite gender they are not related to, and cannot be involved in a sexual relationship outside of a legal heterosexual marriage. Upon baptism, converts also must be willing to abstain from alcohol, coffee, tea and illegal drugs. Official membership into the Mormon church can only be granted by baptism, whether or not a person was raised in the church. 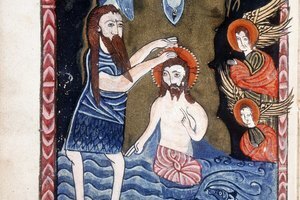 For Mormons, the act of baptism is symbolic of Jesus’ death, burial and resurrection, meaning that those who undergo the ceremony are seen as having relinquished sin to become spiritually reborn as a follower of Jesus Christ. 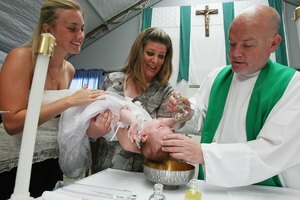 Mormon baptisms only occur after a child has reached an "age of accountability" – or rather, an age when they can make a conscious decision to be baptized. That usually is set at 8 years old. LDS scripture teaches that the first Mormon baptism’s occurred in 1829, when LDS founder Joseph Smith and his follower, Oliver Cowdery, baptized each other in Pennsylvania’s Susquehanna River. The act reportedly occurred after the pair received the Aaronic Priesthood – one of three orders of priesthood recognized by LDS – by John the Baptist. Mormon baptism involves complete immersion into a body of water as a symbol of death and resurrection. Mormons believe baptisms can be performed on the dead, which involves baptizing a living person as a proxy for the deceased. The church argues that the act is appropriate because not all humans who have lived on earth have had the opportunity to be baptized. The church has been a subject of controversy in recent years after it was discovered it has posthumously baptized famous figures such as Anne Frank, Albert Einstein and Adolf Hitler, the Mormon Research Ministry reports. Mormons believe salvation is eternal life, according to the BBC. Believing in Jesus Christ, followed by baptism into LDS, is only the first step of reaching that goal. To achieve salvation, a Mormon must also touch the hands of a person with priesthood authority (to receive the gift of the Holy Ghost), keep God’s commandments, follow the teachings of Christ and his apostles, and repent of their sins. 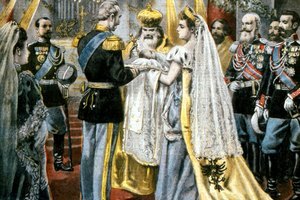 Marriage to another follower in a Mormon temple also is seen as key to reaching the highest level of glory. Portero, Ashley. "Can a Convicted Felon Be Baptized in the Mormon Church?" Synonym, https://classroom.synonym.com/can-a-convicted-felon-be-baptized-in-the-mormon-church-12087917.html. 29 September 2017. How Does a Confirmation Ceremony Go?